You asked for it, you got it! For years people have asked when they could tan at a Sundays Sun Spa Shop in Williamsburg, and the answer is – NOW. We are thrilled to announce our latest location at 4920 Monticello Avenue. 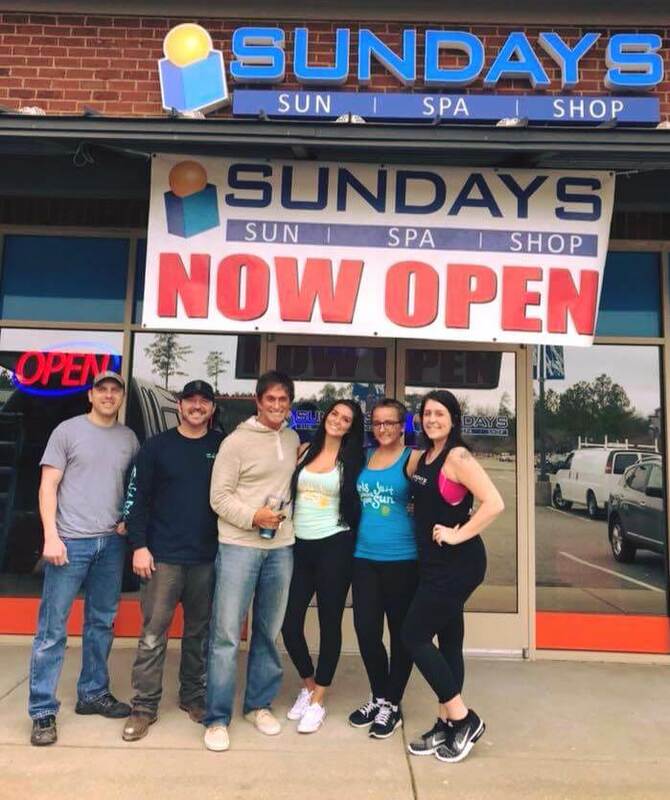 If you’re at William & Mary or live near the Colonial area or James City County, you don’t have to drive far to enjoy luxury UV tanning or amazing innovations in spa. Relax in our massage therapy room, improve well-being with red light skin therapy and our Cocoon SlimPod, and check out the finest in automated spray tanning. If you’re a Sundays member and shopping around New Town for the day, stop by and see us! We offer the same great service and top-notch equipment you’ll find in our spa shops elsewhere in Hampton Roads. Yes, you can use your Buddy Pass in Williamsburg, too. We’d like to thank everybody who visited this new location for making us feel welcome. We don’t plan to stop here, though. Keep an ear out another Sundays on the Upper Peninsula coming soon, this one in Gloucester. Watch our Facebook page for more news on where to find us there.